This article is about the British conductor. For the American music critic and quizmaster, see Edward Downes (American musicologist). Edward Downes in the recording studio, 1971. Sir Edward Thomas ("Ted") Downes, CBE (17 June 1924 – 10 July 2009) was an English conductor, specialising in opera. He was associated with the Royal Opera House from 1952, and with Opera Australia from 1970. He was also well known for his long working relationship with the BBC Philharmonic and for working with the Netherlands Radio Orchestra. Within the field of opera, he was particularly known as a conductor of Verdi. Opera Australia is the principal opera company in Australia. Based in Sydney, its performance season at the Sydney Opera House accompanied by the Australian Opera and Ballet Orchestra runs for approximately eight months of the year, with the remainder of its time spent in the Arts Centre Melbourne, where it is accompanied by Orchestra Victoria. In 2004, the company gave 226 performances in its subscription seasons in Sydney and Melbourne, attended by more than 294,000 people. 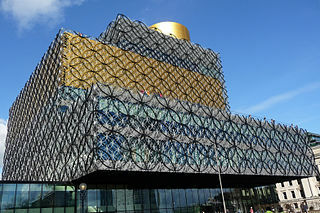 The BBC Philharmonic is a national British broadcasting symphony orchestra and is one of five radio orchestras maintained by the British Broadcasting Corporation and is a department of the BBC North Group division based at MediaCityUK, Salford. The orchestra's primary concert venue is the Bridgewater Hall, Manchester. He and his wife, Lady (Joan) Downes, committed assisted suicide at the Dignitas clinic in Switzerland on 10 July 2009, an event that received significant media coverage. Assisted suicide is suicide undertaken with the aid of another person. The term refers to physician-assisted suicide (PAS), which is suicide that is assisted by a physician or other healthcare provider. Once it is determined that the person's situation qualifies under the assisted suicide laws for that place, the physician's assistance is usually limited to writing a prescription for a lethal dose of drugs. The University of Aberdeen is a public research university in Aberdeen, Scotland. It is an ancient university founded in 1495 when William Elphinstone, Bishop of Aberdeen and Chancellor of Scotland, petitioned Pope Alexander VI on behalf of James IV, King of Scots to establish King's College, making it Scotland's third-oldest university and the fifth-oldest in the English-speaking world. Today, Aberdeen is consistently ranked among the top 200 universities in the world and is ranked within the top 30 universities in the United Kingdom. Aberdeen was also named the 2019 Scottish University of the Year by The Times and Sunday Times Good University Guide. The Marriage of Figaro, K. 492, is an opera buffa in four acts composed in 1786 by Wolfgang Amadeus Mozart, with an Italian libretto written by Lorenzo Da Ponte. It premiered at the Burgtheater in Vienna on 1 May 1786. The opera's libretto is based on a stage comedy by Pierre Beaumarchais, La folle journée, ou le Mariage de Figaro, which was first performed in 1784. It tells how the servants Figaro and Susanna succeed in getting married, foiling the efforts of their philandering employer Count Almaviva to seduce Susanna and teaching him a lesson in fidelity. In 1955 he married Joan Weston, a dancer with the Royal Ballet. She later became a choreographer and television producer. They had two children, a son, Caractacus (born December 1967), a musician and recording engineer, and a daughter, Boudicca (born 1970), a video producer. Elsewhere, he became the Australian Opera's Music Director in 1970, conducting the first operatic performance in the Sydney Opera House in 1973,  the Australian premiere of War and Peace by Sergei Prokofiev. He was Chief Conductor of the Netherlands Radio Orchestra until 1983. While Downes worked with many of the world's symphony orchestras, he enjoyed a particularly long relationship with the BBC Philharmonic (formerly the BBC Northern Symphony Orchestra), serving as its Chief Guest Conductor, then Principal Conductor,  and finally as Conductor Emeritus. Downes was noted for his championing of British music, and especially for Prokofiev and Verdi. He advocated the symphonies of George Lloyd (also conducting a radio performance of John Socman ) and premiered works by Alan Bush, Peter Maxwell Davies and Malcolm Arnold. His passion for Prokofiev was felt in performances of both major and lesser-known Prokofiev scores throughout the world. He also conducted the UK première of War and Peace at a concert performance at Leeds Town Hall in 1967. In 1979 he completed the orchestration of a one-act Prokofiev opera, Maddalena ; he conducted its first recording in 1979 and its world premiere staging in 1981. At the BBC Proms he shared the platform with Pierre Boulez for the Proms premiere of Karlheinz Stockhausen's Gruppen in 1967, and conducted the Proms premieres of Die Jakobsleiter in 1968, Boris Godunov in 1971 and The Fiery Angel in 1991, as well as public premieres of George Lloyd's Symphony No. 6 and works by Roger Smalley, Elizabeth Maconchy and Jonathan Elias. "All the plans that need to be made had been. Now, I must tell you that even though I had hoped to be around a bit longer, death doesn’t worry me at all. I have no religion and, as far as I am concerned, it will be an "offswitch" so after you have thought about it a bit don’t worry. It has been a happy and interesting life and I have no regrets. I have no idea how long I will last but I send love to you all and your extensive families. Sir Colin Rex Davis was an English conductor, known for his association with the London Symphony Orchestra, having first conducted it in 1959. His repertoire was broad, but among the composers with whom he was particularly associated were Mozart, Berlioz, Elgar, Sibelius, Stravinsky and Tippett. Rudolf Kempe was a German conductor. Sir Alan Charles Maclaurin Mackerras was an Australian conductor. He was an authority on the operas of Janáček and Mozart, and the comic operas of Gilbert and Sullivan. He was long associated with the English National Opera and Welsh National Opera and was the first Australian chief conductor of the Sydney Symphony Orchestra. Sir Harold Malcolm Watts Sargent was an English conductor, organist and composer widely regarded as Britain's leading conductor of choral works. The musical ensembles with which he was associated included the Ballets Russes, the Huddersfield Choral Society, the Royal Choral Society, the D'Oyly Carte Opera Company, and the London Philharmonic, Hallé, Liverpool Philharmonic, BBC Symphony and Royal Philharmonic orchestras. Sargent was held in high esteem by choirs and instrumental soloists, but because of his high standards and a statement that he made in a 1936 interview disputing musicians' rights to tenure, his relationship with orchestral players was often uneasy. Despite this, he was co-founder of the London Philharmonic, was the first conductor of the Liverpool Philharmonic as a full-time ensemble, and played an important part in saving the Royal Philharmonic Orchestra from disbandment in the 1960s. Sir Richard Armstrong is a British conductor. He was educated at Wyggeston Grammar School for Boys and Corpus Christi College, Cambridge, where he was an organ scholar. Sir John Michael Pritchard, CBE was an English conductor. 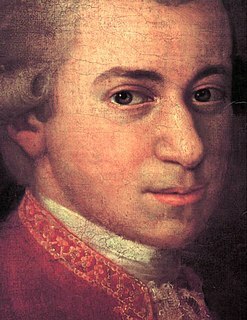 He was known for his interpretations of Mozart operas and for his support of contemporary music. Sir Andrew Frank Davis is an English conductor. He is currently music director and principal conductor of Lyric Opera of Chicago, chief conductor of the Melbourne Symphony Orchestra and conductor laureate of both the Toronto Symphony Orchestra and the BBC Symphony Orchestra. Karl Rankl was a British conductor and composer who was of Austrian birth. A pupil of the composers Schoenberg and Webern, he conducted at opera houses in Austria, Germany and Czechoslovakia until fleeing from the Nazis and taking refuge in England in 1939. Semyon Mayevich Bychkov is a Soviet-born conductor. Sir Mark Philip Elder is a British conductor. He is the music director of the Hallé Orchestra in Manchester, England. James Loughran CBE, DMus., FRNCM, FRSAMD is a conductor. 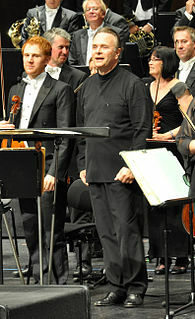 Mark Fridrikhovich Ermler was a Russian conductor. Stanford Robinson OBE was an English conductor and composer, known for his work with the BBC. He remained a member of the BBC's staff until his retirement in 1966, founding or building up the organisation's choral groups, both amateur and professional. John Wilson is a British conductor, arranger and musicologist who conducts orchestras and operas, as well as Big Band jazz. He is the creator of the John Wilson Orchestra and Associate Guest Conductor of the BBC Scottish Symphony Orchestra. (Albert) Meredith Davies CBE was a British conductor, renowned for his advocacy of English music by composers such as Benjamin Britten, Frederick Delius and Ralph Vaughan Williams. Ashley Macdonald Lawrence, was a New Zealand conductor mainly active in the UK and Germany, and particularly associated with ballet. Rae Woodland was a British soprano who studied with Roy Henderson. Her debut was as Queen of the Night at Sadlers Wells. She sang in many European festivals, and debuted at Covent Garden in La sonnambula with Joan Sutherland and Luciano Pavarotti. She was first asked to sing for Benjamin Britten on the English Opera Group's tour of Russia, and played many roles for him subsequently. She also created roles for Gottfried von Einem, Nicholas Maw and Sir Arthur Bliss, and made many live broadcasts for the BBC, from the RAH Proms to Friday Night is Music Night. She retired from the opera stage in 1984. She then taught singing at the Royal Academy of Music in London, and at the Britten-Pears School in Snape Maltings on the invitation of Sir Peter Pears. (Andrew) Alexander Briger AO is an Australian classical conductor. He is the nephew of the conductor Sir Charles Mackerras, and both are descended from the composer Isaac Nathan. Emelie Hooke was an Australian soprano who was notable in opera, oratorio and concert, and sang in Australia, England, Europe and South Africa. 1 2 3 4 5 6 "Interview with Roy Plomley on Desert Island Discs , BBC radio, 1969. Retrieved 25 November 2013. 1 2 3 4 5 Downes, Edward, and Loppert, Max, "The product of experience", Opera , January 1993, Vol 44 No 1, pp. 26—39. ↑ Sir Edward Downes at the Royal Opera House, partial search. Retrieved 25 November 2013. ↑ "No. 50361". The London Gazette (Supplement). 30 December 1985. p. 7. ↑ "No. 52563". The London Gazette (Supplement). 14 June 1991. p. 2.